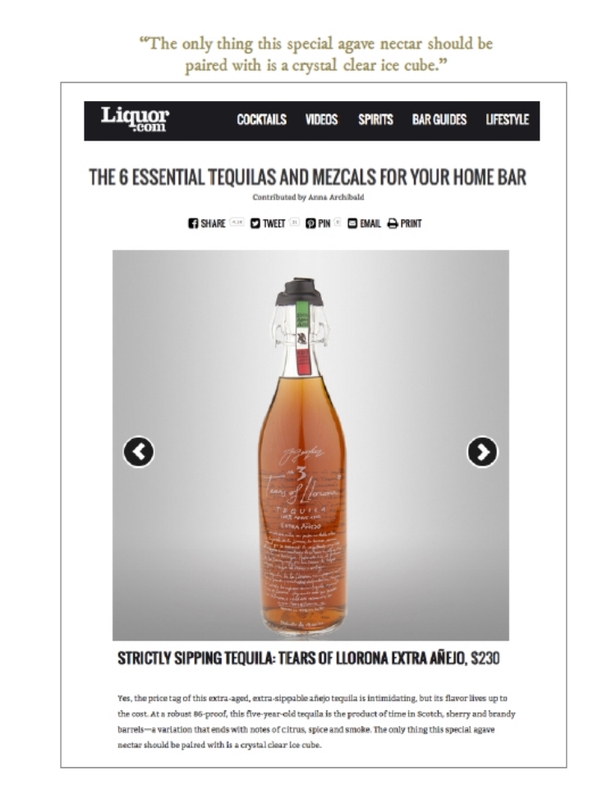 German's Tears of Llorona has received high praise from long list of discriminating palates. The Wall Street Journal, The Robb Report, Forbes, Vanity Fair, Food & Wine, Men's Journal, Huffington Post, and many others concur that this is a spirit worthy of comparison with the best in the world. For media and press inquiries, please contact info@tearsofllorona.mx.